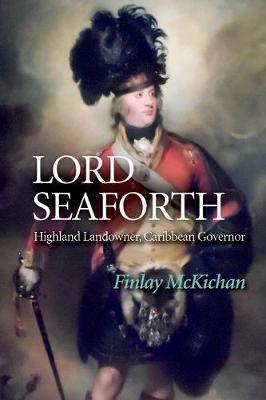 This book is a detailed thematic biography of the Highland landowner Francis Humberston Mackenzie, Lord Seaforth (1754-1815). Despite being profoundly deaf and partially mute from a young age, Lord Seaforth went on to become a proprietor of a large estate who strove to protect his small tenants during the tumultuous era of the Highland Clearances. Financial pressures eventually drove him to become Governor of Barbados and an owner of plantations in Guyana, which were manned by slaves. This is the first full-length study of Seaforth. Drawing on an extensive archival research in Scotland, England and Barbados, Finlay McKichan links important themes in Scottish and imperial history to show how far the principles and policies developed for the Highlands could be applied in slave societies. This provides a fresh new perspective on Seaforth's fascinating story as he fought for the legal rights of enslaved labourers, while offering valuable insights into the political struggles leading to the end of the British slave trade in the Caribbean. Finlay McKichan is a retired Senior Lecturer in the School of Education, University of Aberdeen. He is the author of The Highland Clearances (1977) and A Separate Kingdom (1996).